Although I had seen two other Korean dramas previously which had examined the impacts on characters' lives of being in a shopping mall collapse (2003's Snowman starring Gong Hyo Jin, and 2008's Perhaps Love starring Lee Dong Gun), plus a 2006 film called Traces of Love starring Ji Tae Yu, the Korean drama Just Between Lovers examined the long term emotional impacts of surviving such a disaster with a much more deliberate, intense, in-depth and complex focus. In many ways this drama was extraordinary. 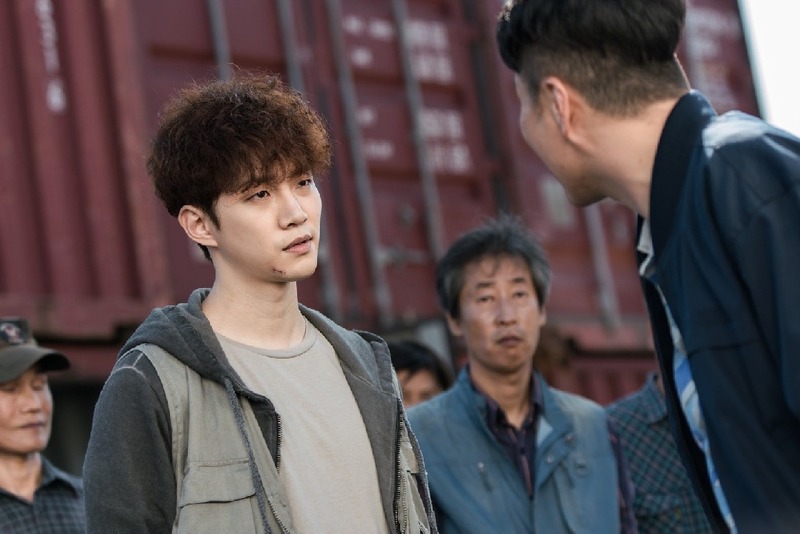 The two main characters were played by up and coming actors Jun Ho Lee (film Memories of the Sword) and Jin A Won (film Age Of Shadows), and they accomplished absolutely fabulous and sometimes even shockingly accurate explorations of Post Traumatic Stress Syndrome in their performances. Often it didn't even seem like they were acting! 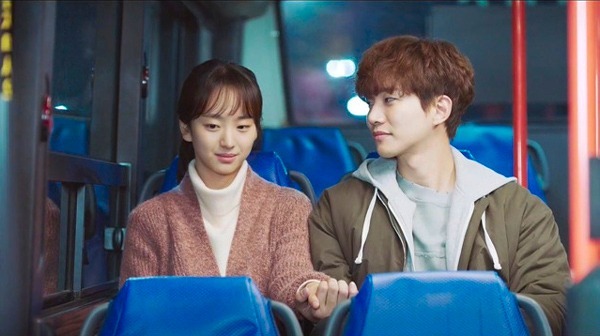 I don't mind admitting I found myself tearing up multiple times while watching this drama, especially knowing that the characters' lives were loosely based on some survivors of a real shopping mall collapse in South Korea, which occurred in 1995 due to the corrupt building owner and his son's crimes in ignoring their building's terrible construction flaws, which they had even bribed 21 public officials to overlook! 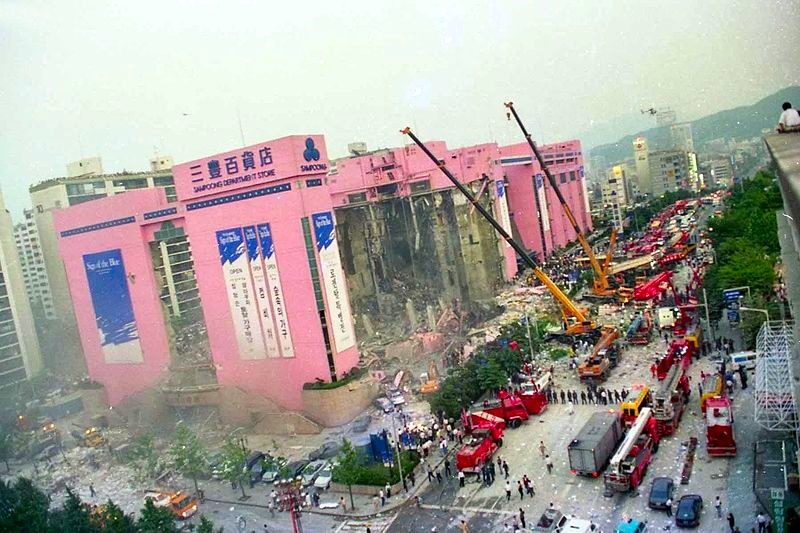 In that real life Sampoong shopping mall collapse over 500 people died and thousands were injured, often permanently, both physically and mentally. For their heinous crimes the building owner and son received ten years or less prison time! This, even though they had received ample warning time to evacuate the building as the overloaded top fifth floor started cracking apart, but they didn't even sound a warning siren or attempt to evacuate! The building owner, the infamous Lee Joon, didn't even inform his own daughter-in-law, working inside, that the building was about to collapse, but he and his son certainly got out in time. Disgusting! After the disaster, and the fury of the Korean people, all high rise buildings in Seoul were re-examined and only 1 in 50 were deemed safe! This resulted in massive fortifying of buildings and improvements in construction codes. Remind You Of The Oklahoma City Bombing? An itinerant street kid working part time construction jobs when he can, Lee Gang Doo (Jun Ho Lee, played as a youth by wonderful Nam Da Reum of The Suspicious Housekeeper, Pinocchio, Goblin, and While You Were Sleeping) once dreamed of becoming a soccer player, but the viciousness of fate ended that dream in a violent way: he had survived an horrific shopping mall collapse as a teenager, when a metal bolt had sliced through his calf muscle causing permanent pain and the need for professional rehab to recuperate. He is poor but still manages to pay for clandestine narcotic medical pain relief from an old lady drug hustler whom he calls affectionately "Grandma" (Na Moon Hee from Dear My Friends). Sometimes he crashes at her place to sleep and other times crashes at the humble home of his mentally disabled friend Sang Man (Kim Gang Hyun from My Love From Another Star). Most of the money he managed to make over the years in construction work went sacrificially to help pay for his only sister Jae Young's (Kim Hye Jun) medical schooling to become a doctor. Gang Doo and Jae Young's father, a building supervisor, had died in the building collapse so they've had to fend for themselves for years as orphans and it's not been an easy life for either of them. Then one evening when Gang Doo is injured in a fight, and knocked unconscious into a street corner, a compassionate young lady named Moon Soo Ha (Jin A Won, Park Si Eun as a young girl) finds him and drags him back to a room behind her father (Ahn Nae Sang from May Queen) Dang Chul Ha's nearby restaurant apartment so he can recover. It turns out Moon Soo had been in the same shopping mall collapse years earlier as well, which inspired her to take an interest in architecture as a profession. She makes architectural models for building companies (personally, I would have liked to have had some explanation about her schooling for this profession but it was left out of the script). 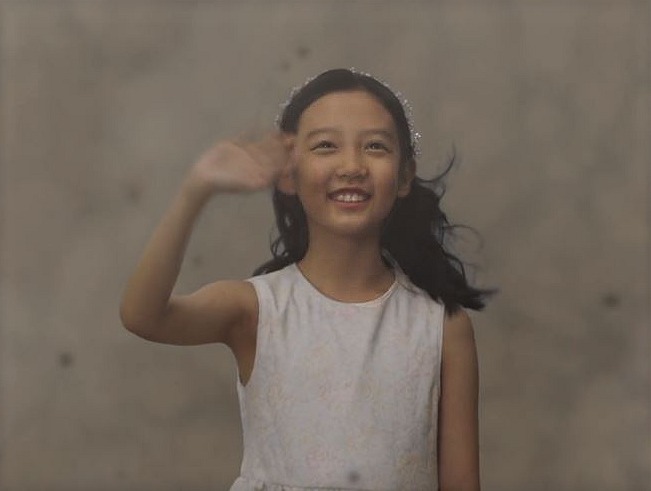 Moon Soo has survivor guilt big time because her mother Yoon Ok (Yun Yoo Sun) had dropped her and her younger sister off at the mall to shop on the day of the building collapse; Moon Soo was supposed to stay with her little sister Yeon Soo (Han Seo Jin from Goblin) but left her alone in the mall in order to see her new boyfriend at a mall cafe, and the little sister had been killed as the building collapsed. The death of the sister causes Moon Soo's parents to separate (though for some reason they don't divorce) and causes her to have a rather fractious relationship with her alcoholic, grieving mother. Mom now runs a spa and hair salon that she opened with the compensation money she received for her daughter's death, but she has never truly forgiven her older daughter for surviving while the younger died. Poor Moon Soo tries to overcompensate emotionally for the sister's loss but her mom still resents her. (There was one heavy scene between mother and daughter that I honestly thought was one of the most riveting and incredible scenes in the entire drama! 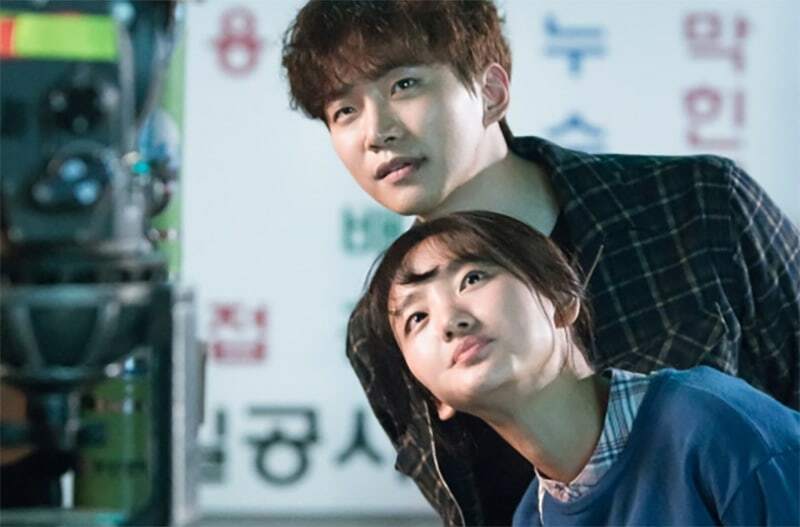 I became an instant lifelong fan of new actress Jin A Won because of it; Jun Ho seems to get all the praise from young fans, and it is richly deserved, but I couldn't ignore Jin A's contribution to the drama's success). Even when Moon Soo's mother hurts her daughter the daughter is STILL concerned about her first and foremost. What a great girl! Moon Soo has one best friend who is a professional artist and confined to a wheelchair, named Kim Wan Jin (Park Hee Von, Master's Sun). She brought some much needed comic relief to this heavy duty story when it was needed. After meeting Gang Doo, and getting to know him a bit (both end up working for the same construction company that is building a new building in the same exact place as the shopping mall had stood), the emotionally bottled up Moon Soo finally starts opening up and letting out some of her real feelings about the shopping mall collapse and what had happened to her life because of it. In his turn Gang Doo is taken in by Moon Soo's courageous spirit, not to mention her own compassion toward him for what he has suffered. The two survivors begin to fall in love, which is not unnoticed by two bystanders who like them, construction supervisor Seo Joo Won (Lee Ki Woo, Flower Boy Ramen Shop and the film The Classic), and his former girlfriend Jung Yoo Jin (Kang Ha Na) who works as an executive in the company only because her brother Jung Yoo Taek (Tae In Ho, Descendants of the Sun) is chief CEO. One gets the feeling that Yoo Taek would be an out and out monster (like the real Lee Joon of the Sampoong Shopping Mall collapse) only he is humanized a bit by his liking for a sympathetic bar girl character named Mari (Yoon Se Ah, Gu Family Book, A Gentleman's Dignity). All the side characters in this story are interesting in and of themselves but as the love relationship grows between Gang Doo and Moon Soo that of course takes front center stage for the audience. They help heal each other from past wounds, discover they had seen each other and talked to each other the day of the building collapse, have to forgive each other when necessary, and they end up fully understanding each other, unlike other people who had not been in the disaster themselves. Moon Soo is put in charge of designing a tribute area, at the area of the new building, dedicated to the victims of the former building's collapse. She takes this responsibility heavily and even visits relatives of the victims to get their input on the design. That takes an extraordinary amount of courage. When Gang Doo's "Grandma" suddenly dies only Moon Soo can really understand his pain. When Moon Soo is abused by her mother only Gang Doo can fully understand her pain. They are two survivors with Post Traumatic Stress Syndrome whom God has obviously thrown together so they can make something positive out of their lives and even look beyond the tragedy eventually to discover new strengths and talents within themselves. 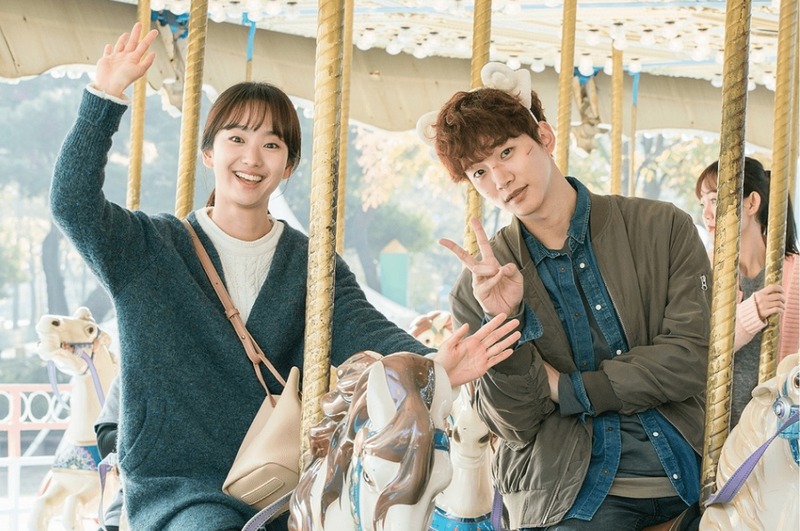 The story is very inspiring that way and I was greatly impressed by the writer's (Yoo Bo Ra, Secret Love) work on this project. I wouldn't be surprised if it ended up being therapeutic as well for the real victims of the Sampoong Shopping Mall collapse. 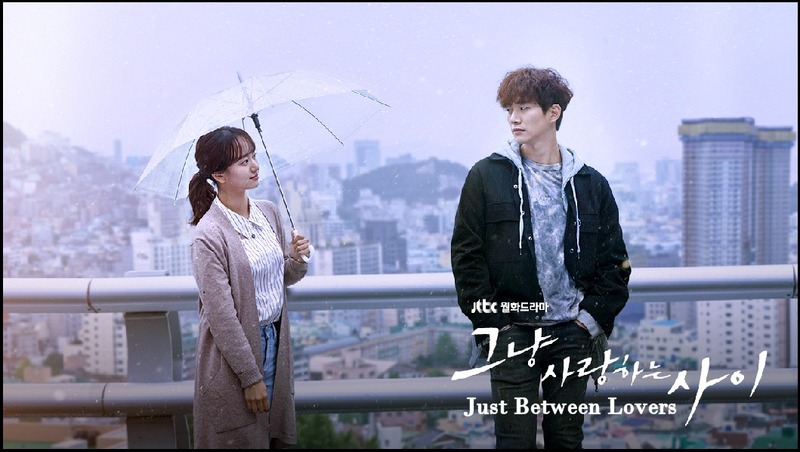 If you love a good melodrama with splendid acting and two young lovers who are completely sympathetic then definitely put Just Between Lovers on your K-drama queue. Don't miss it.